Africa Alive (Just south of Lowestoft on the Suffolk Coast) is a large wildlife park, which specialises in African Animals, we took the whole family for a day out. 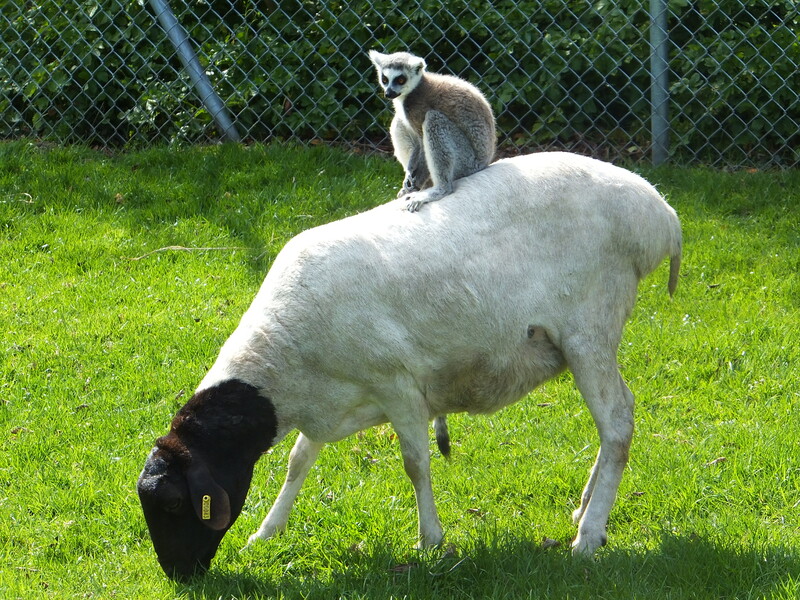 For most of us, a trip around the globe to see various wild animals is an opportunity that we do not have, so for the majority of us, the only opportunity we have is to visit a wildlife park, with over 500 wildlife parks across the UK, most of us have one within easy reach. We decided a few days before and asked the kids if they wanted to go, this was as expected, met with all round positive responses. On the day we were up early, and arrived in good time, Africa Alive is big and open with plenty of space for the kids to run about. Eowyn and Kaide demanded we made straight for the Lions, as they both ran across the grass towards the enclosure, I did mange to stop Eowyn for a picture, but there was no stopping Kaide, he has always liked Big Cats. 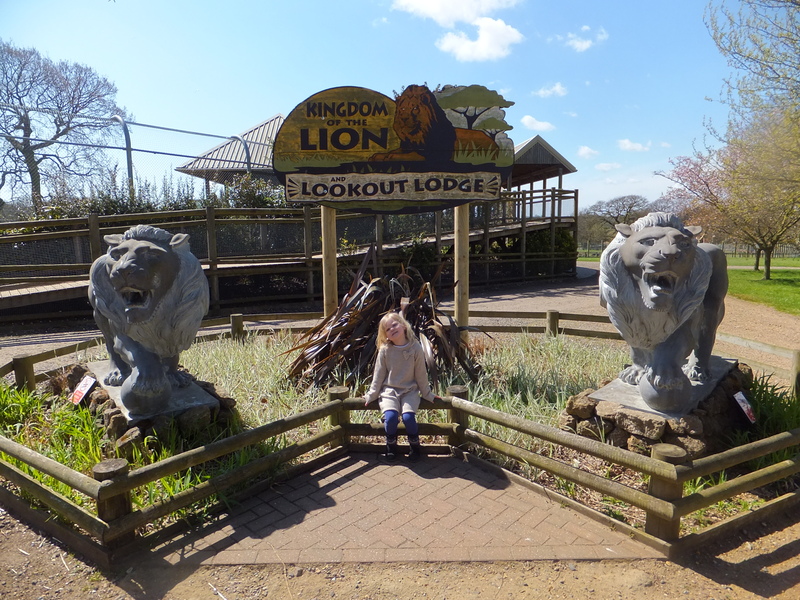 There is a giant viewing platform, and even Tyrus had a great view from his pram, you can get a really good view of the lions, and we stayed up there for ages as the lions rolled around in the sunshine. Neva took some photos, which is something she has really taken to over the last couple of months. Kaide made use of the telescope, although the lions were mostly playing under the balcony and we really could not have got any closer. 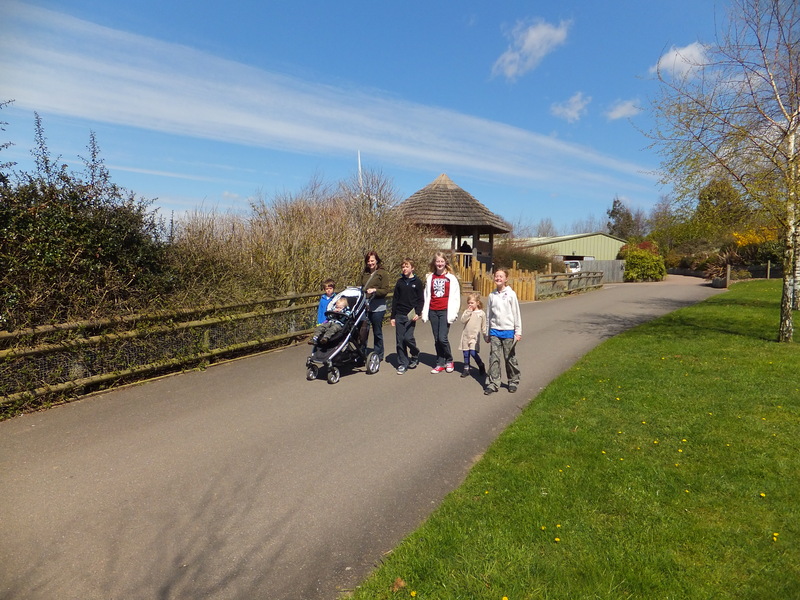 The park is linked by a network of wide open pathways, ideal for a pram and lots of space for the kids to run around. 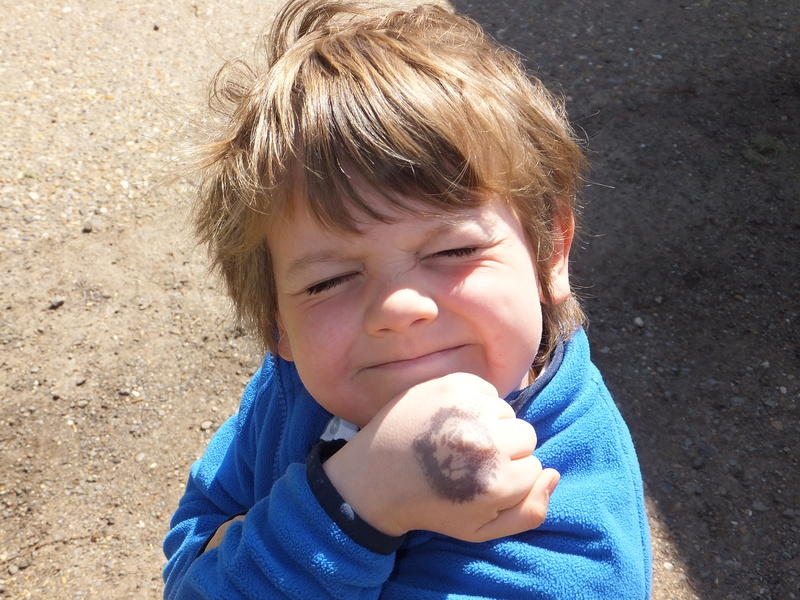 Africa Alive has a stamp collection trail that children can collect stamps as they go round the park, and at the end of the day receive a medal, Kaide had great fun stamping himself, until Lochlan pointed out he had to stamp a Trail Card! 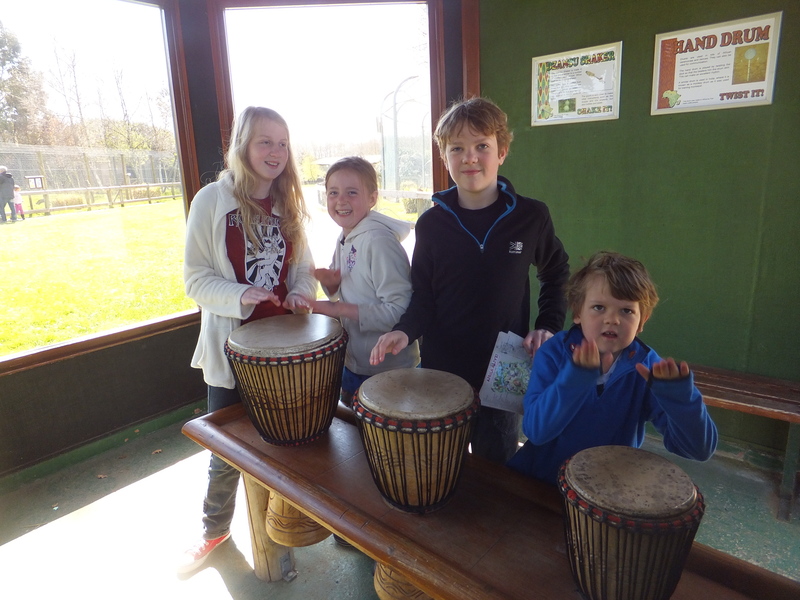 The park has a number of interesting additions, the Bongo drums went down well with the children, who seized the opportunity to make as much noise as possible. One of the real highlights of the park is a giant central enclosure which has Rhinos, Ostriches and Giraffes all in together, there are a number of vantage points around the park where you can see these animals roaming around with each other, Binoculars are useful here as its really big, and although the Ostriches were very close to us, the giraffes were on the other side. 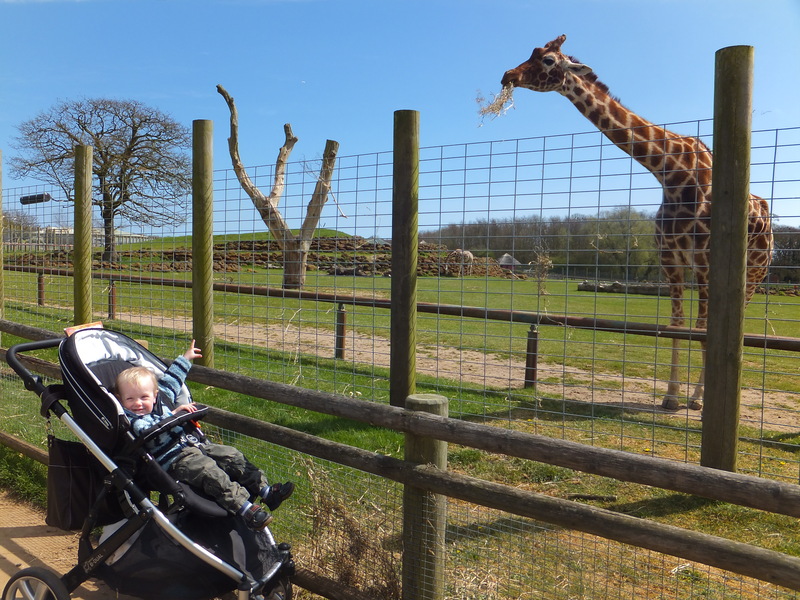 We made our way slowly round the central enclosure to see the giraffes, Tyrus was impressed with the Lions earlier in the day, but he got really excited when the giraffe came over. 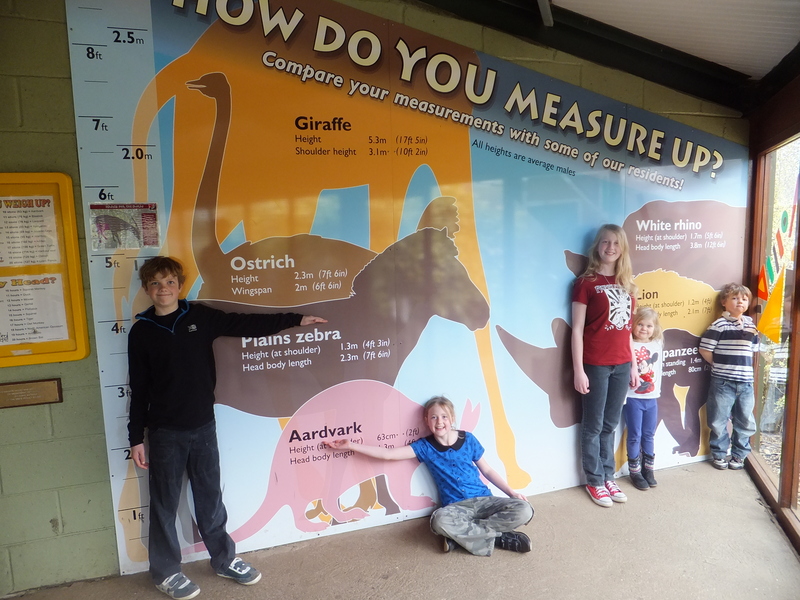 In the Giraffe house the children all measured themselves up to animals on a size chart across the wall. 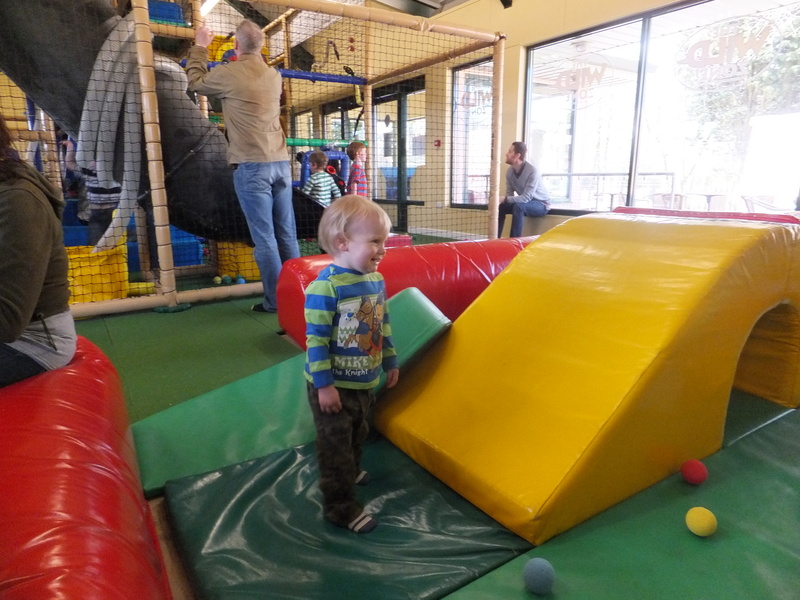 Africa Alive is a big park, so lots of stops for the little ones, and the not so little ones. 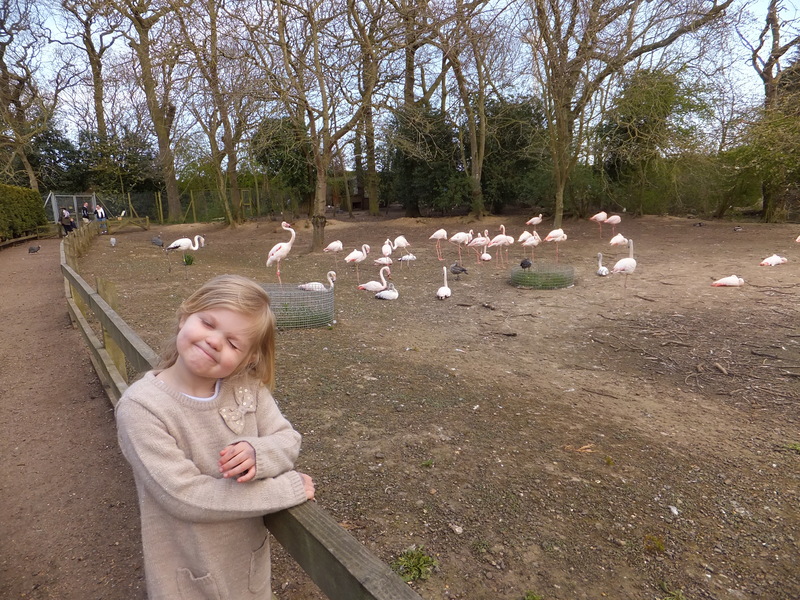 The park also has a massive walk through bird enclosure, with a variety of African Birds, Eowyn really likes Flamingos, and it was great to get up close to these Birds. 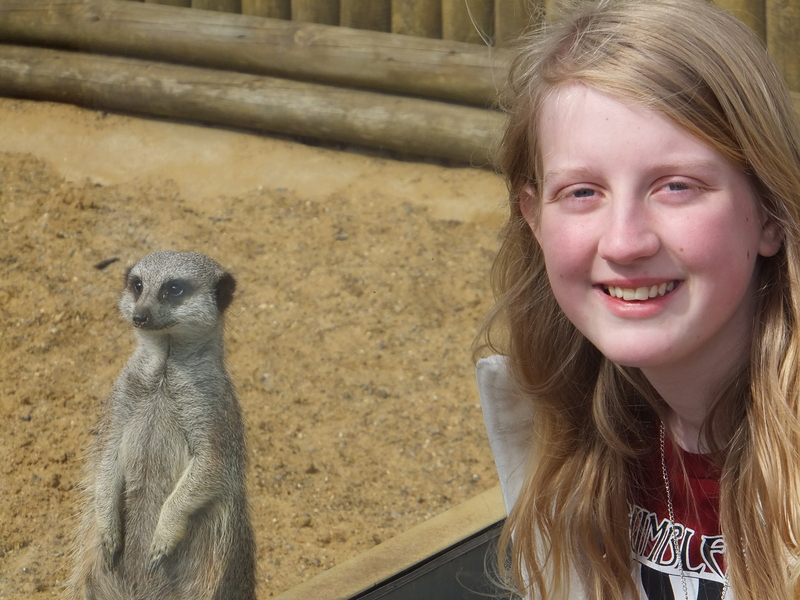 Xene has always had a soft spot for Meerkats, they are always busy and great fun to watch. 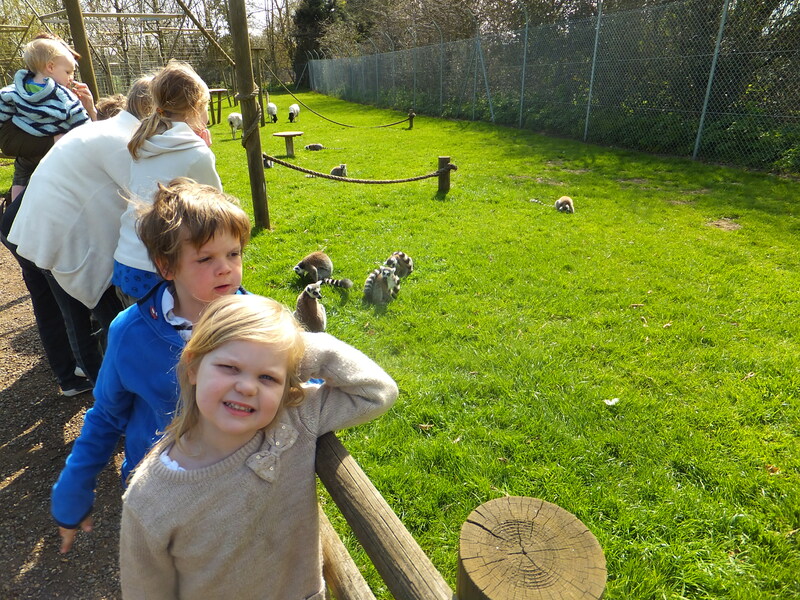 The highlight is perhaps not what you would expect, but the park has an open enclosure where you can walk among the Ring Tailed lemurs as they charge around. The Children really enjoyed this, we stayed in here for ages. 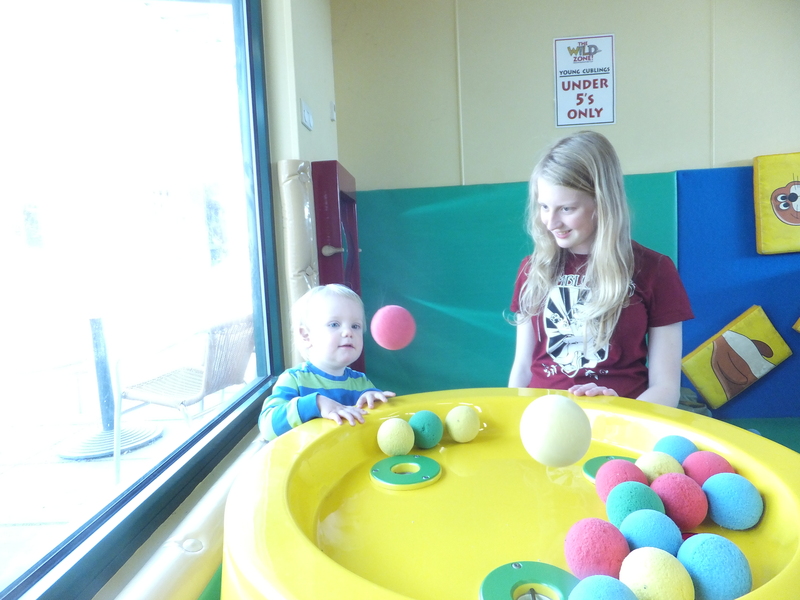 Towards the end of the day we paid a visit to the park indoor play area, it caters for children from 6 months to 12 years and has a range of activities, there is a separate area for small children, which Tyrus was free to roam without bumping into one of the bigger children. 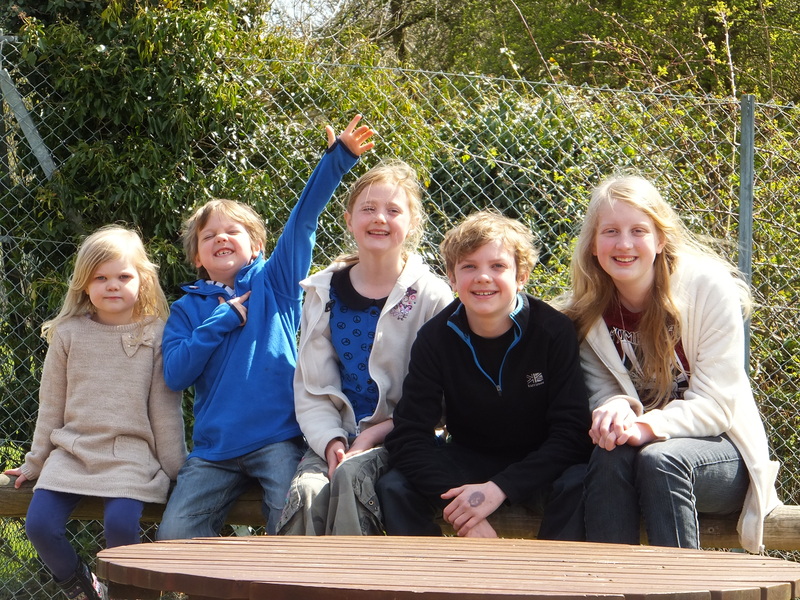 As a family with six children, we had a great, but long day, and all six children enjoyed the day. 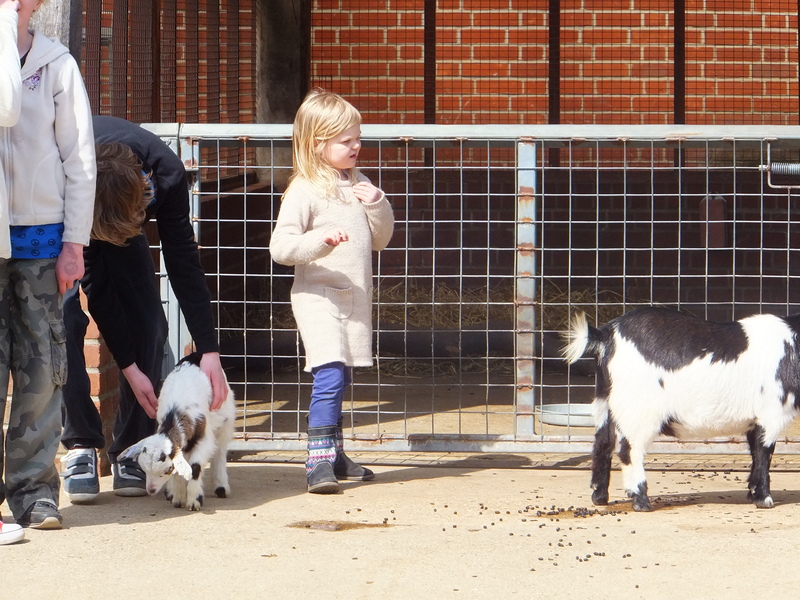 Spend some time with the children, looking at the park website, so you do not miss animal feeds and special activities. A Picnic is great if the weather is good, it can be rather challenging if not. Binoculars are useful if animals happen to be at the wrong side of the enclosure. Let the children choose where to go as you travel around the park. Most Wildlife parks are open all year round, wrap up and go in the winter months and avoid the crowds.